The new generation 2018 Ford Expedition has charged into Kuwait this month, promising to redefine the full-sized SUV segment with its all-new design inside and out, its unique smart technologies, more power for drivers, and more towing capability than any other full-sized SUV. 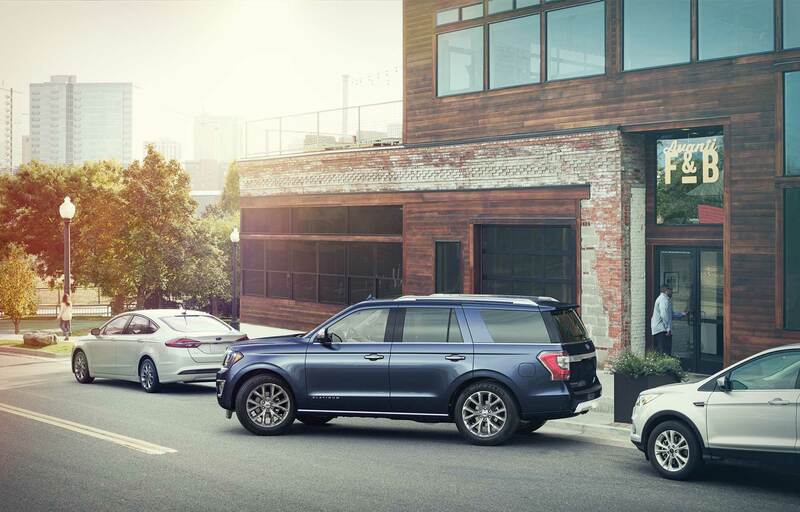 The new generation 2018 Ford Expedition is the smartest, most capable and most adaptable Expedition ever. Powered by a second-generation 3.5-litre EcoBoost® twin-turbo engine with standard Auto Start-Stop plus a class exclusive new 10-speed automatic transmission, the all-new Expedition is the most powerful Expedition ever, offering up to 400 horsepower on Platinum models along with a whopping 650Nm of torque. The 2018 Expedition’s new Terrain Management System has up to seven drive modes including a Sand Mode, and, paired with a two-speed transfer case (all four-wheel-drive models) and the rear eLSD (electronic limited-slip differential) that allows a full differential lock, offers excellent off-road capability. In addition, an all-new high-strength, aluminium-alloy body and redesigned high-strength steel frame form the foundation for Expedition’s rugged off-road and strong towing capabilities. For customers wanting to carry more cargo or tow loads, the new generation Expedition offers Pro Trailer Backup Assist, which makes backing up a trailer as easy as turning a knob. The all-new Expedition offers a class-leading towing capacity of up to 4,200kg. The new generation Expedition offers more driver-assist technology than any other full-size SUV. More than 40 features and driver-assist technologies new to Expedition help make the journey as enjoyable as the destination. These include class-exclusive enhanced active park assist to easily pull in and out of parking spots, as well as available 360-degree camera technology to help customers see more around their Expedition for easier parking. On the road, Expedition’s lane-keeping aid is designed to reduce unintentional drifting of the vehicle outside its lane, while adaptive cruise control with stop-and-go allows drivers to set a cruising speed, using radar and camera technology to monitor traffic to maintain a set distance between vehicles. The all-new Expedition offers best-in-class second-row and third-row leg room and hip room. For large families traveling long distances in the Middle East, this is a feature that customers want and appreciate. Expedition’s second- and third-row seats can be quickly folded flat with the push of a button to open up a cargo area wide enough to handle 4x8-foot sheets of plywood and other gear, depending on cargo weight and load distribution, even with the lift-gate closed. The all-new 2018 Ford Expedition is the smartest, most capable and most adaptable Expedition ever. All interested customers in Ford vehicles are welcome to visit the Ford Alghanim New Vehicle Showroom, Service and Spare Parts Center in Shuwaikh’s Industrial Area, opposite Sirbb Circuit and the Classical Car Museum, and Ford Alghanim’s new showroom in Fahaheel or call 1898900.